The adult Dark Snow Goose was photographed at Veterans Park in Milwaukee, Wisconsin on Lake Michigan. 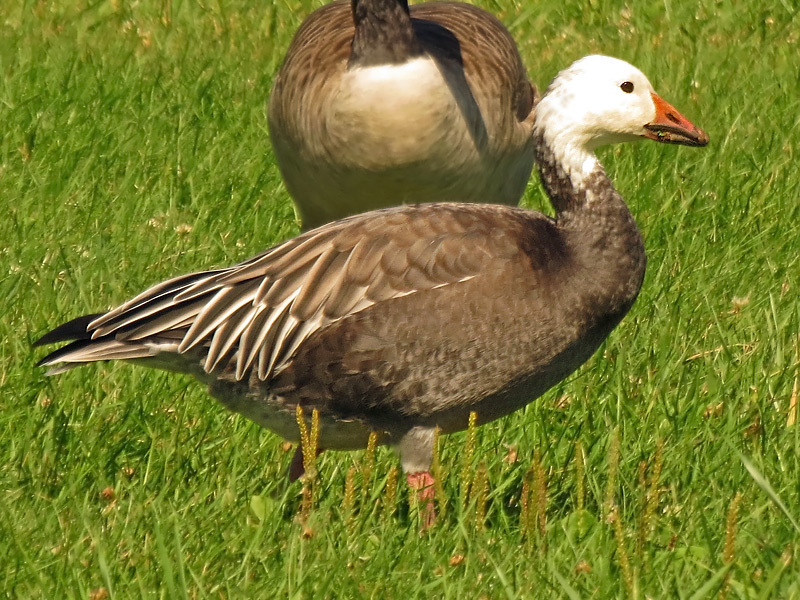 The Snow (Dark or Blue) Goose is dark gray-brown with a white head, and is the same species as the Snow (white) Goose. It has a range of Artic America and Northeast Siberia. It has a habitat of tundra (summer), marshes, grain fields, ponds, and bays. It is typically seen in large numbers or not at all. This sighting was a single Dark Snow Goose. The diet is almost entirely of plant material and seeds. 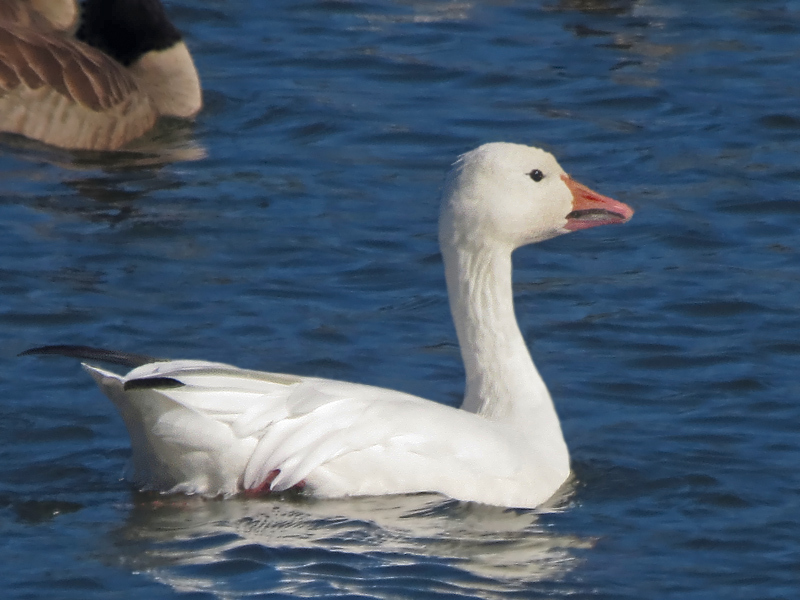 The adult Snow (White ) Goose was photographed at a pond in an Industrial Park in Franklin, Wisconsin. The juvenile Snow Goose and the adults were mostly photographed together. 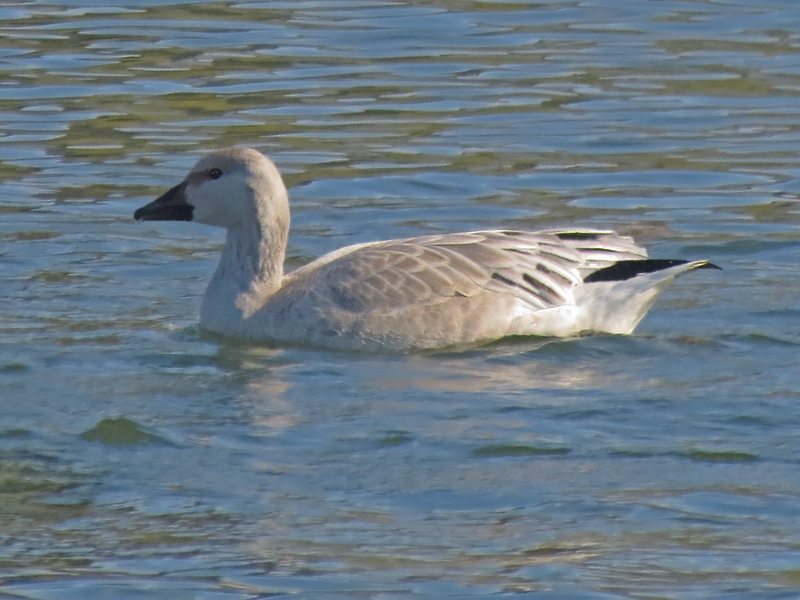 The Snow (White) Goose is a white goose with black primaries, and with pink feet and wedged shaped bill. It is often rust-stained on the head around the bill. The juvenile is pale gray with a dark bill. It has a range of Artic America and Northeast Siberia. It has a habitat of tundra (summer), marshes, grain fields, ponds, and bays. It is typically seen in large numbers or not at all. The diet is almost entirely of plant material and seeds.